ANTE LA LLEGADA DEL NUEVO CURSO Y TRAS LA PETICIÓN DE NUESTROS VECINOS, CONSCIENTES DE LA IMPORTANCIA DE DISPONER DE UN LUGAR EN EL ALBIR EN EL QUE SE PUEDA ESTUDIAR SI NECESIDAD DE DESPLAZARSE A LA CASA DE CULTURA DE L´ALFÀS, HEMOS SOLICITADO AL AYUNTAMIENTO DE L´ALFÀS DEL PI, UNA SALA DE ESTUDIO EN EL CENTRO SOCIAL DEL ALBIR. NUESTRA PROPUESTA HA SIDO TENIDA EN CUENTA Y SE HA HABILITADO EN EL CENTRO SOCIAL DEL ALBIR UNA SALA DE ESTUDIO QUE YA SE ENCUENTRA OPERATIVA. 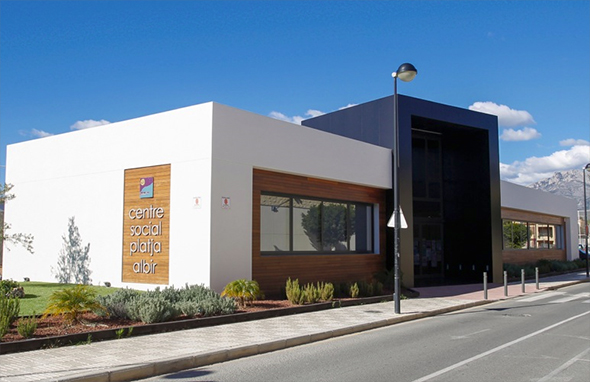 EL CENTRO SOCIAL EL ALBIR, SE ENCUENTRA UBICADO EN LA CALLE SAN MIGUEL Nº1 DEL ALBIR, JUNTO AL MERCADONA, EL TELÉFONO ES EL 966 868 749 Y EL HORARIO ES DE 08:00 A 15:00 Y DE 17:00 A 21:00. NUESTRO AGRADECIMIENTO EN LA RESOLUCIÓN DE ESTE NUEVO SERVICIO AL AYUNTAMIENTO DE L´ALFÀS DEL PI Y A D. VICENTE ESCRIG, DIRECTOR DE LA CASA DE CULTURA.